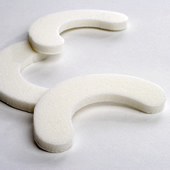 The TherapacerPacer™ CPMs are a quiet, lightweight, computer-controlled continuous passive motion (CPM) device that provides customized therapy to patients recovering from mandibular joint dysfunction. Continuous passive motion is the therapeutic technique of slowly moving a joint without using your own muscles. Motion is the only way to heal joint tissue. The Pacer CPM a effective and safe choice for your joint rehabilitation and recovery. The Pacer CPM also offers stress-relaxation stretch (or static progressive stretch) therapy for patients suffering from tight tissues and scarring. Stress-relaxation stretching incrementally increasing and holding joint stretches to elongate the tissues around the jaw for increased range-of-motion. The TheraPacer CPMs are an anatomically correct mandibular CPM device. It is transportable and can be used in the home or workplace. The TheraPacer CPMs are hospital safe and offers programmable start point speed and range of motion. A portable printer allows the healthcare provider to retrieve a hard copy of the patient's compliance. 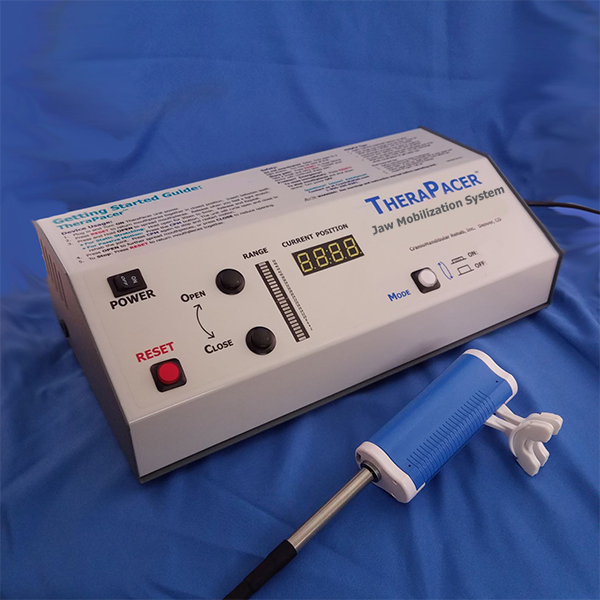 The TheraPacer CPMs provide a safe and effective way to rehabilitate the TMJ and increase patient compliance. To service the needs of the healthcare provider, CMR, Inc. offers patient instruction and extensive service.